Baseball junkies here’s your fix. Ah ok, this post will be dedicated to the Rockies and the triumph that was the first sweep of the season. 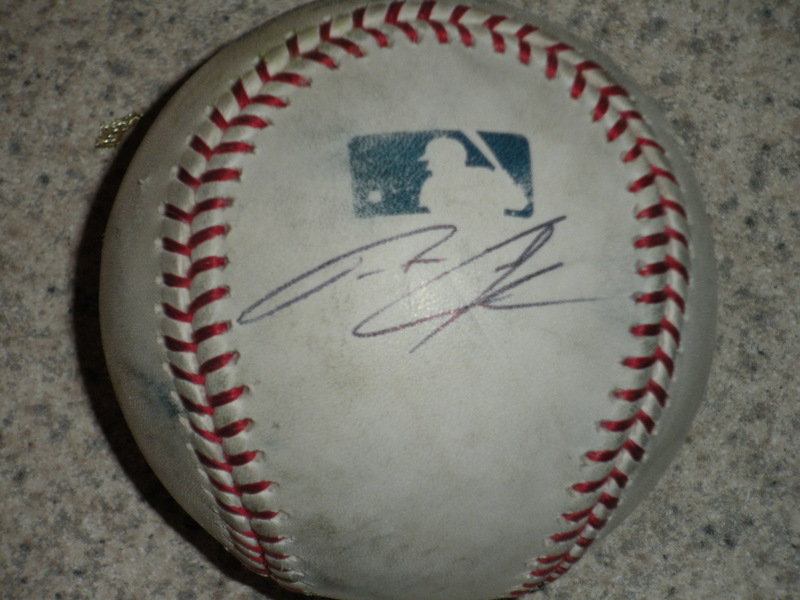 This guy pitched and I got the ticket of the day he pitched autographed and chatted with him to say great game. Seven innings, 108 pitches and dominance. I hope to see more of it amigo. I have been praising you for quite a long time and I will be framing that autographed ticket. 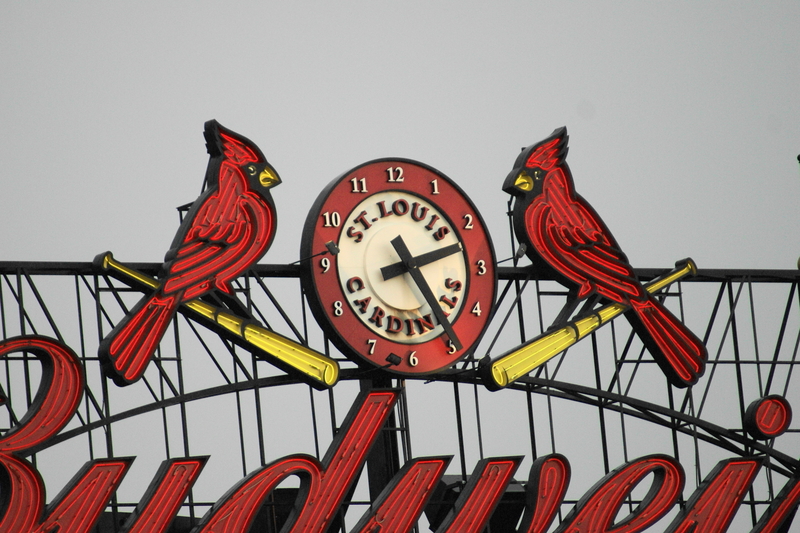 This word that came up on the scoreboard at Busch seemed to sum it all up. What can I say? I saw this guy get his first hit with the Rockies and make one hell of a play on a put out. Yes it was a great play and after the dive they are still there Gonzo. This guy couldn’t get a hit to save his life but I had no problem with that. This character looked a little creepy. I’ll think I’ll take our big smile dinosaur anyday. These two were chirping it was time for the fat lady to sing. Even a rainy day at the ballpark is better than a day at home! 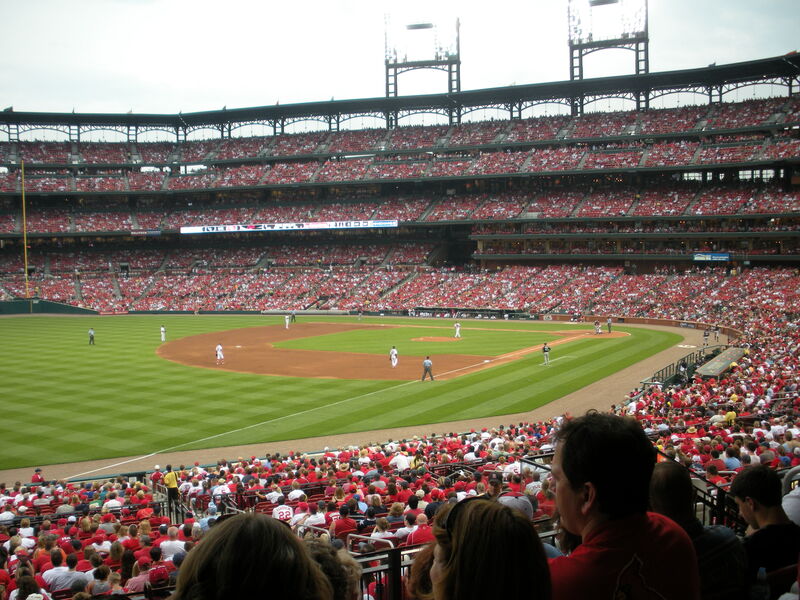 Finally, adios Busch Stadium you were the friendliest confines to my boys the whole season eventhough you are a complete rip off because you can be. Damn you supply and demand and the fact you can charge $22 for the cheapest seats in the house. Shame. Don’t you know we are in a recession and beers should not be the most expensive I have seen anywhere – $7.75! Ridiculous, although it is cool you let people bring their own food and drink (minus beer) into the stadium. Speaking of stadiums, I really need to get caught up on my stadium reviews. I am sooo sorry : ( The road can be tough to get wifi and post as much as I would like. I owe you the reader Arlington, Minute Maid and Busch. I will find time. Promise. Yes, Emily I know I haven’t posted Helton’s 2,000th hit but I keep coming up short on the autograph. I am trying and I am confident I will get it soon and I’ll post the pict. Thanks for your patience. 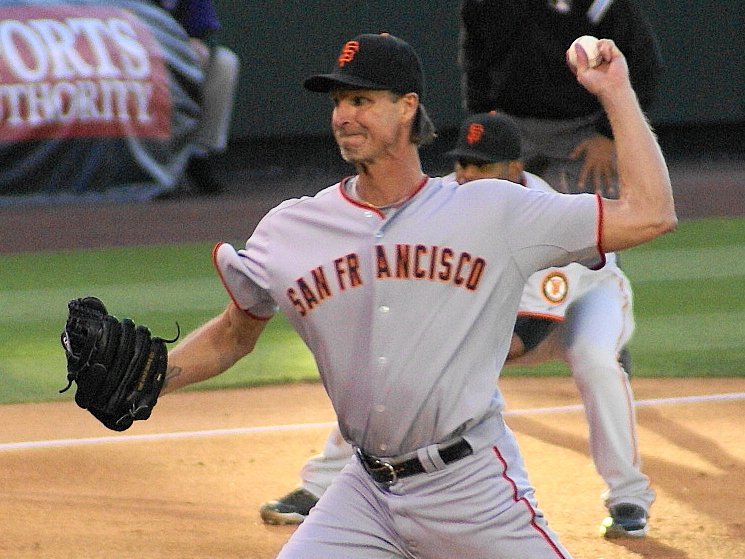 I should have known yesterday walking into Coors that someone in purple would comment on how they would like to see Randy Johnson win at Coors, lock up some history and get closer to becoming a 300 winner. Sorry, but not in our house. Don’t get me wrong, As the usher taking my ticket, started to chat with me about how he wanted to see Johnson win, I wasn’t mad at him. I like Johnson and I think he has been a great part of the game his whole career. The guy is money and he’ll get his wins-just not at Coors. There’s a reason I took a ton of photos of the man. He’s living history and deservingly so. There was another pitcher on the mound too I feel I am watching the first years of his living history career. He’s young and if he can consistently keep command of his fastball, I can’t wait to see how far he goes. Ubaldo was incredible last night, and other than a charged run that came when he left the mound, he pitched 7 scoreless innings. When he is on, there is nothing prettier and although it was minor, I can’t say I wasn’t excited when he had a no-no going through four. I know it’s only four innings but that’s how it starts. Speaking of starts, I have to now cut this post short to make it to the day game starting shortly. I have a ton of picts from this game and I’m sure I’ll get more at today’s so with enough time I’ll be sure to get some more out. I won’t lie. My expectations were to walk into Chase Field today and watch the first no-hitter of the season. Ubaldo Jimenez was on the mound and if you haven’t read my blog, I am high on this guy. Way high. So high in fact, it may have been unfair to think he would throw a no-hitter. Seven scoreless innings would have to do. I should have known this day was going to be different from opening day. Standing inside Chase Field, I could see balls flying deep into the outfield during batting practice. There was no feeling of sadness from the loss the day before, and in fact it was pretty easy going- work like. I liked it and had that good feeling. The starting pitcher who hadn’t lasted more than 55 pitches was even happy, and I was pleased, as you have to let those losses go. Watching the practice getting going, I stood idly by as a smiling Dexter Fowler warmed up with starting center fielder Ryan Spilborghs. Then it happened. Dexter might tell you Spilly didn’t reach high enough for the ball and Spilly may tell you the ball was overthrown. Either way, a ball thrown from Fowler went into the stands right next to me and tagged a D’back fan. Got em good. Hit him so hard the paramedic came over and asked the guy to wiggle his hand so he could evaluate him. Dexter was nice though. He came over apologized to the fan and gave him a ball. 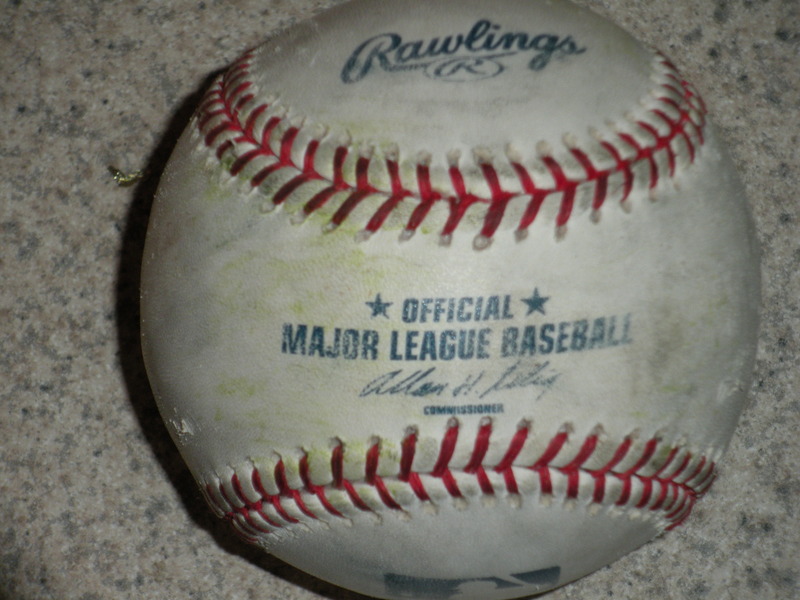 The ball that hit him rolled into the stands. But don’t think I let an opportunity slip by with this “blessed” ball…It quickly found a use. One man’s trash- aka ball injury- another man’s autograph ball. Thanks Cookie. 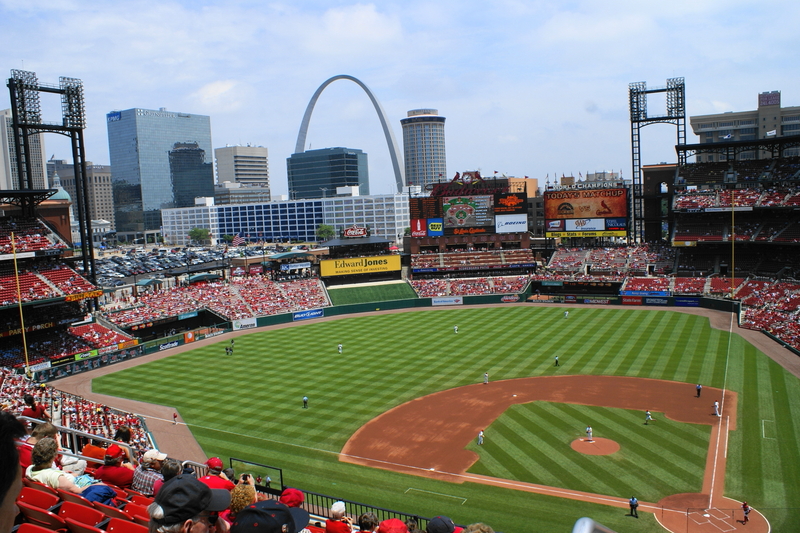 With the roof open and a beautiful 75 degrees, the stage was set for a good ball game. Spillborghs comes up to bat and leads off the game. A nice double would set the tone. Ubaldo would take the stage and face adversity early. The bases loaded in the second, Jimenez has the d’backs Lopez hit into a double play. Nicely done and no runs on the board. Unlike opening day, starting pitchers for both clubs held up nicely. The Diamondbacks suffered their first hiccup in the fifth inning with a solo shot from Tulowitzki that would make the game 1-0 Rockies. Again, in the sixth inning Ubaldo would face adversity. 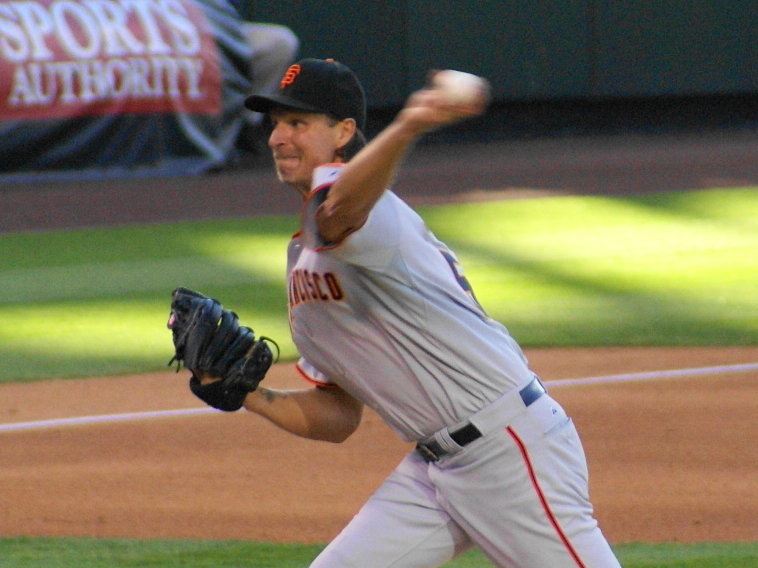 With runners at first and second with two outs, he managed to strike out catcher Miguel Montero. Tragedy avoided again. Ian Stewart and Todd Helton would both drive in runs at separate times adding to the Rockies lead 3-0. Manny Corpas would come in to set-up in the eigth and look like the closer he could easily be. Huston Street would come in to close down the ninth and the expectations I had for opening day came true on day two. The Rockies got their first win of the season and I got a good feeling back deep down. This was the squad I knew was there and I hope tomorrow the same squad shows up to take the series on the way back to Denver. 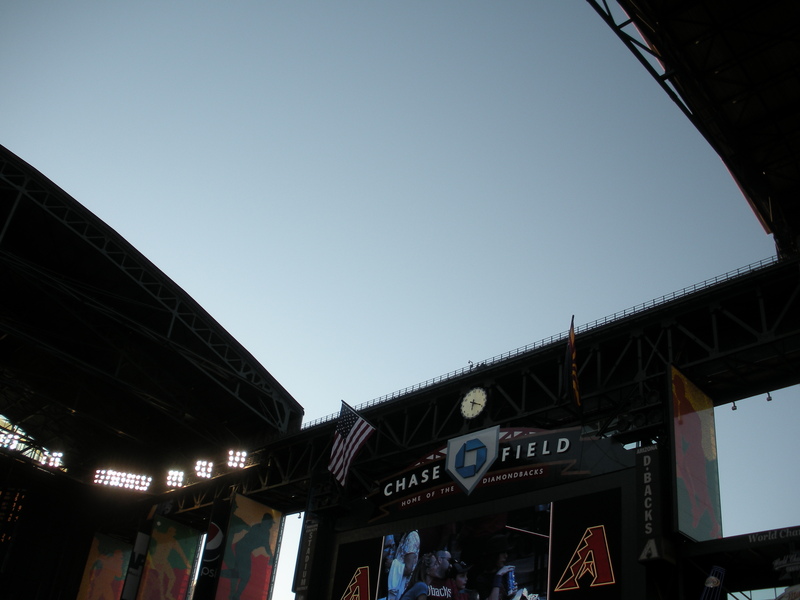 Stay tuned to the blog because there is a LOT I did not touch on in my experience at Chase Field and Arizona in general. I’ve got some strong opinions on everything from the ball park food to the excitement of D’backs fans. I’ll break it down, the pros and cons from this fans perspective and what I took from this experience! Tomorrow the game starts at 12:40 Arizona time and I’m hoping for another convincing win to come. 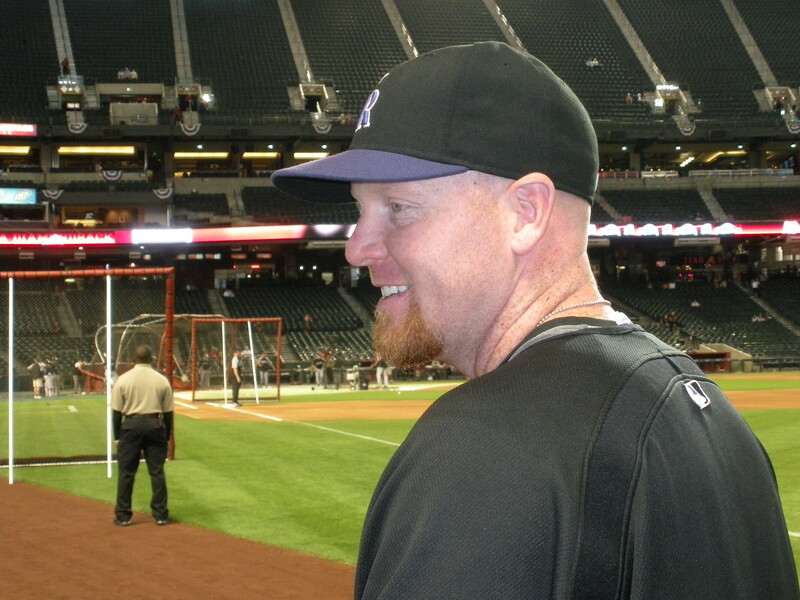 Ryan Spilborghs is the comic relief for the Rockies clubhouse. His place on the field is no joke though.In honor of my number 19 ranking I decided to shine a spotlight on Spilborghs and his rising career with the Rockies. 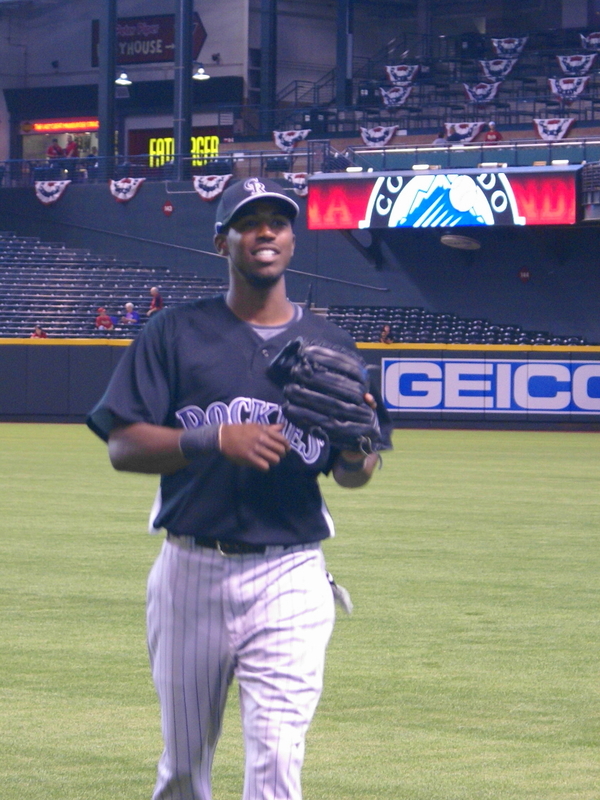 has built his role as an outfielder in the past few seasons for the Rockies. Playing in a reserve role, he has earned a shot at the starting centerfield this upcoming season. He’s expected to take the lead off role as he had a .363 on-base percentage last season. 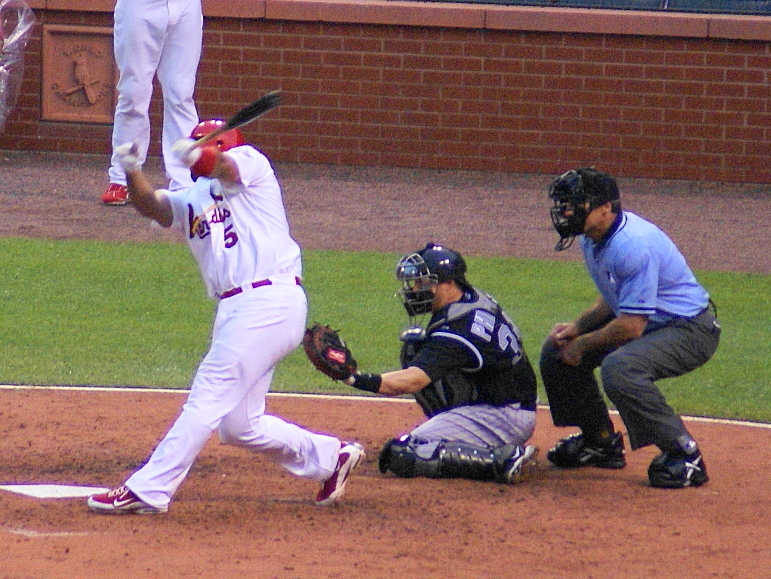 Hitting .313 last season, Rockies fans are hoping he can continue the great play and get clutch hits like he has been known to get since getting most of this playing time in 2007. The Rockies need a consistent lead off man and Spilborghs could very well fit that role if he is productive in his at-bats. Beyond the numbers and skill is one of the nicest baseball players you can meet. Everytime I have ever had the opportunity to chat with Spilly I have taken it. He’s always with a smile and one guy I’ve never had trouble endorsing when people ask me who should they root for on the Rockies. I recommend everyone check out a Spilly commercial on how to chew sunflower seeds. 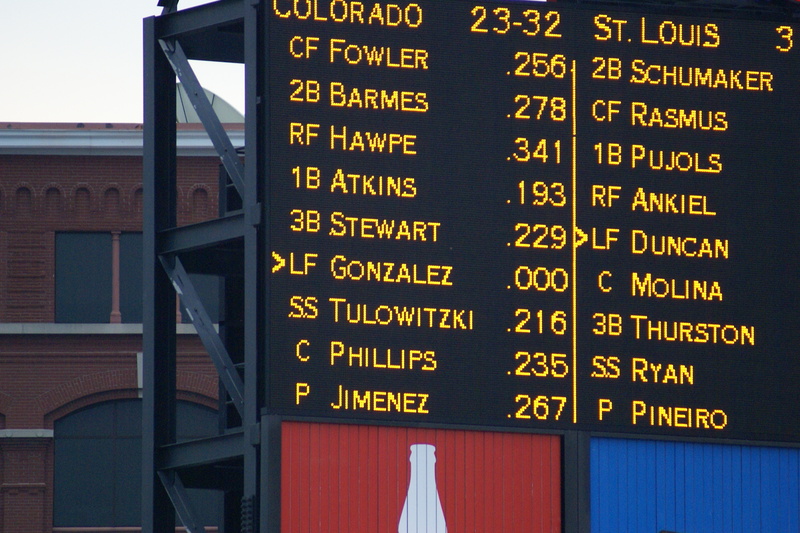 Also notice “do I chew it or spit it” Ubaldo Jimenez. Also notice Chris Ianetta (WBC catcher) at the end! 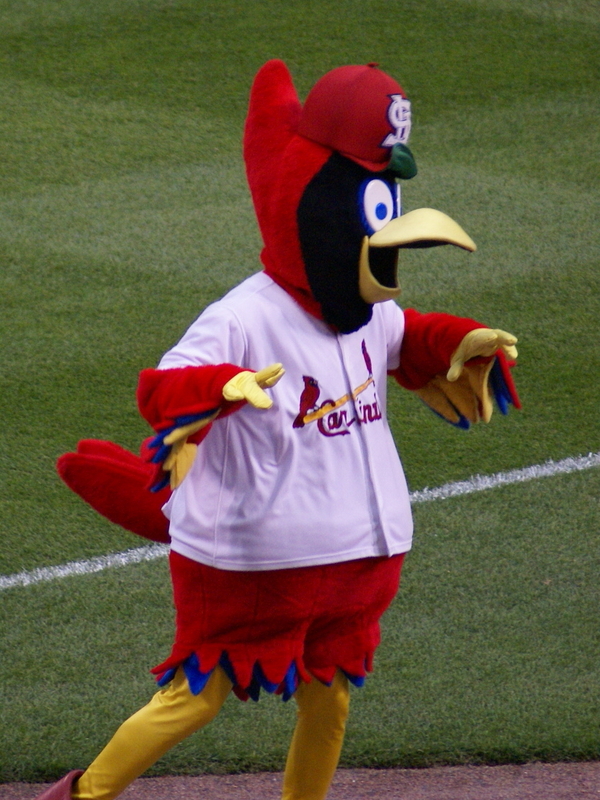 I’ll get you people loving and rooting for the Rockies before you know it! You read it here. Ubaldo Jimenez is a pitcher with whom good things couldn’t happen to a nicer guy. Everyone is talking about the Cinderellas of the World Baseball Classic. The Netherlands over took the amazing Dominican Republic to advance. 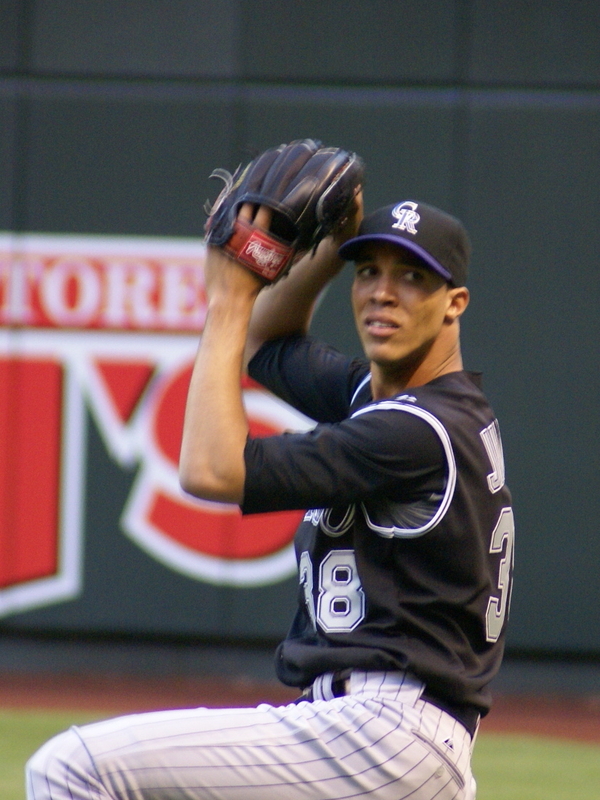 What I hope most people don’t lose sight of is Dominican and Rockies pitcher Ubaldo Jimenez set a record for strikeouts with 10 in his four innings during that game. It went 11 innings and Ubaldo will be coming to Arizona because of the Dominican Republics elimination. But he can come holding his head high. I told you he had silly stuff, I said he was a grounded and great young talent for the Rockies. I told you I saw him throw a fastball 102 mph. Now the world got to see the reason why the Rockies locked down Ubaldo with a four year contract. Props goes to the Netherlands for doing what had to be done. They overcame immense odds and a team that outstacked them in talent at pretty much every position. The underdogs did what most thought was unthinkable. But for 65 pitches they didn’t do it against Ubaldo Jimenez. Does this mean he is the man who will be the first to win 20 games for the Rockies organization? No. Would I like to see him be the first? Yes. Do I hope that every game I manage to see this summer is majority Ubaldo on the mound? Most definitely. 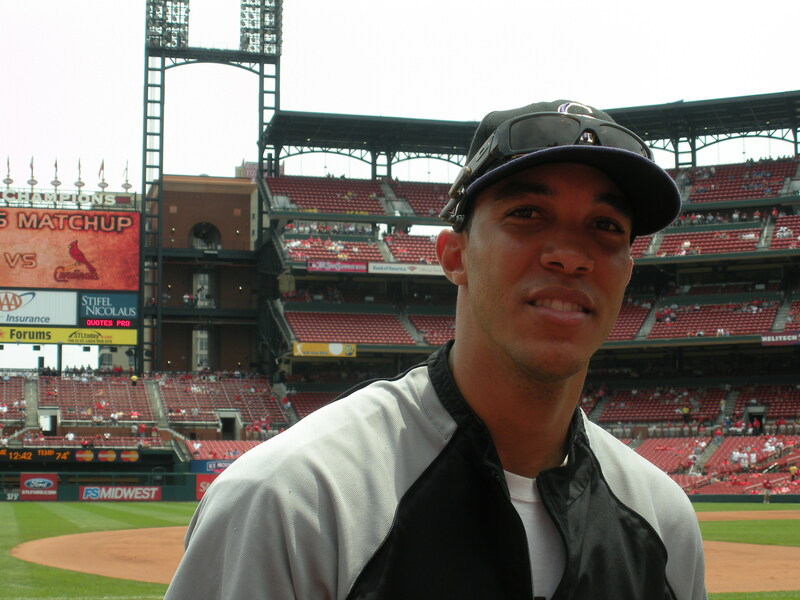 I was fortunate enough to meet 25-year old Colorado Rockies starting pitcher Ubaldo Jimenez in 2008. My first inclination was to talk with him in Spanish, because he is originally from the Dominican Republic, and I was unsure his level of English. and humble ball players I had ever met. I watched his demeanor around other people and this guy had the biggest smile and the ability to make anyone feel at ease, just by being who he was. I knew he would win some and I hoped he would win many. This is the first pitcher I have ever watched in my life throw 102 miles per hour. I watched the board light up 102 and I was blown away. I’ve watched him throw his four-seam fastball 101 and 100 regularly. I asked him, “What’s the fastest you ever thrown?” He replied, “100, 101.” I looked at him and said I’ve seen you throw 102. He smiled his big smile again and put his head down like a shy child. Who couldn’t help but love this guy I thought? Last season he had some struggles on the mound but overall was solid in his starting role. With the season ending surgery for Jeff Francis, Mr. Ubaldo Jimenez has been inked as the number two. So when I say it couldn’t happen to a nicer guy, I mean I read today from Rockies MLB reporter Thomas Harding, Jimenez has signed a four-year $10 million contract. That may end up being a steal for the Rockies if Ubaldo lives up to the expectations every true fan knows he can exceed. Congrats Ubaldo, I have all the faith in the world you will go down in Rockies history as being one of the best pitchers this team has ever had.